Synopsis: The extraordinary true story of Solomon Northup, a free black man in the United States who is one day deceived, abducted and sold into slavery, facing the remaining years of his life in captivity. Review: The slave trade is a dark part of the history of the United States and rarely, if ever, has a film captured the sheer brutality and injustices that existed within this vile trade. Previous films have glossed over these details. However, in this heartbreaking true story, it absolutely does not hold back in showing to the audience the horrific hardships and cruelty that people endured as a result of this barbaric business. 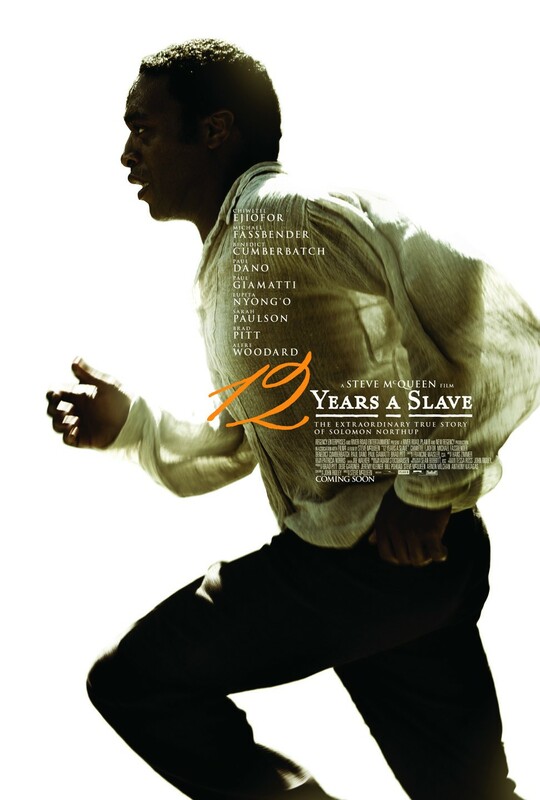 Director Steve McQueen (Hunger, Shame) along with an adapted screenplay from Solomon Northup’s memoirs by John Ridley, gives us a moving and powerful telling of the story of one man’s struggles against slavery that went on for more than a decade. Solomon Northup, a talented violinist who when offered work in Washington DC, is tricked and sold into slavery. McQueen does not deceive the audience by sugar-coating the situation. He shows the horrendous treatment that Northup received once he had been sold into slavery. Locked in a tiny cell, in chains, intense whippings, and made to work for long hours by malicious and evil people that took great pleasure in beating these people up. Furthermore, the terrible abuse and hardships that these people suffered at the hands of slave owners has rarely been put onto the big screen. There is no hiding from the situation, it is in your face and it reminds you from a very early point in the film that this trade was monstrous and brutal and even now, it still leaves its mark on the people of the USA in particular. There is no restraint on his part and he viciously takes it out on slaves who dare to defy him. Patsey, played by newcomer Lupita Nyong’o is one of those slaves who feels the full force of Epps’ cruelty. Everyone in the film was phenomenal but Fassbender, Ejiofor and Nyong’o were the stand-out performances and all three have landed Oscar nominations in the Best Actor, Best Supporting Actor and Best Supporting Actress categories, and all deservedly so. When watching this film, some may draw comparisons between this and Django Unchained. While it can be argued that Epps is like Calvin Candie from Django Unchained, Epps is a far more realistic representation of a slave owner. Django Unchained was undoubtedly a very enjoyable film. However, it used slavery as a backdrop to give a signature Tarantino style story about vengeance, filled with dramatic violence. It did really illustrate story of the brutality of slavery, certainly not to the level that McQueen does. On the other hand, 12 Years A Slave is a hard-hitting, disturbing story. It captures the awful situation that many black people found themselves in during this period, and really illustrates the brutal nature of this business. This film has a great chance of winning some Oscars this March, with a total of nine nominations and it deserves every one. It is being tipped by many to win this year’s coveted Best Picture Oscar. It is a film that should be shown to every pupil learning about slavery in school and a film for everyone to remind them of the inhumane slave trade. It is by no means an easy watch and some scenes are particularly horrific in nature. Nevertheless, it is a very moving and very powerful film that will have you thinking about it for a long time once you have finished watching it. The film is dark, and is not a pleasant watch for sure, but the brilliant acting and emotional story make it a must see. I only saw it after the Oscars. I was blown away by the acting. Just incredible performances. And what extraordinary directing. You are right to highlight the realism. The brutality is unrelenting throughout.